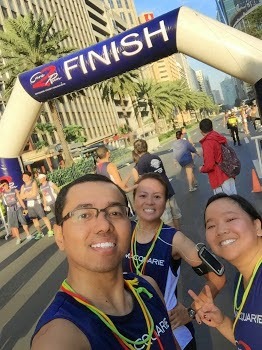 In preparation for my second marathon (Condura Skyway Marathon 2015), I joined the 10K Macquarie Charity Fun Run with my wife Irish and sister Haidee. It was a great run with Team Shinrai! Thanks for the suggestions you have provided here. Another thing I would like to state is that personal computer memory demands generally increase along with other innovations in the technology. For instance, if new generations of processor chips are brought to the market, there is usually a matching increase in the scale preferences of all laptop or computer memory in addition to hard drive space. This is because the software operated by simply these cpus will inevitably surge in power to use the new technology.